Staging is the process of preparing a home for sale. The goal of staging is to make a home stand out to potential buyers so you will sell your home quicker and for more money by making your home more presentable. 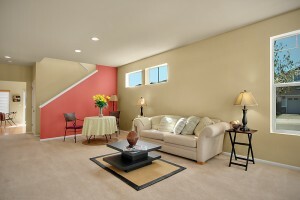 Staging will immediately give your property an edge in any market. Staging techniques focus on improving a home’s appeal by transforming it into a welcoming attractive product for anyone looking at it. Why should you stage your home by an Accredited Staging Professional? Our goal is to help the seller and the real estate agent or anyone to sell homes for the highest possible price in today’s market. The investment in Staging by Style is less than the first price reduction! We appreciate the opportunity to serve you in the home-selling process. Please give us a call to set up an appointment via phone (206) 915-4341 or email (maya@stagingbystyle.com).